As District 12 native Gale peers pensively across a carpet of dense woodland, we know his thoughts are centred only on Katniss and what could’ve been. 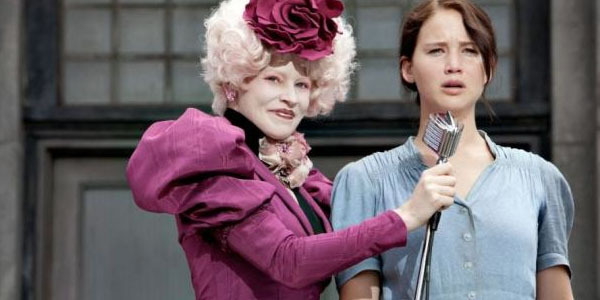 Many miles yonder, the Games are about to begin and the odds aren’t in Ms. Everdeen’s favour. In fact, the odds aren’t in anybody’s favour. The green canopy before him is an “escape” that Gale and Katniss have always cohesively pondered. Now, it’s likely too late. There isn’t much respite from this sense of pertinent dread throughout The Hunger Games. Themes of oppression, manipulation and artifice consume proceedings, each element tackled maturely and with a degree of intelligence. Though it’s based on Suzanne Collins’ teen-aimed novel of the same name, The Hunger Games beckons forth a far wider audience, a psyche that no doubt assists in creating close to an indelible franchise curtain-raiser. In a dystopian future, the nation of Panem is segregated into 12 districts and a commercially rich Capitol. President Snow (Donald Sutherland) is Capitol overseer, and his methods of maintaining ‘order’ in society rely heavily on a tournament of death called the Hunger Games. 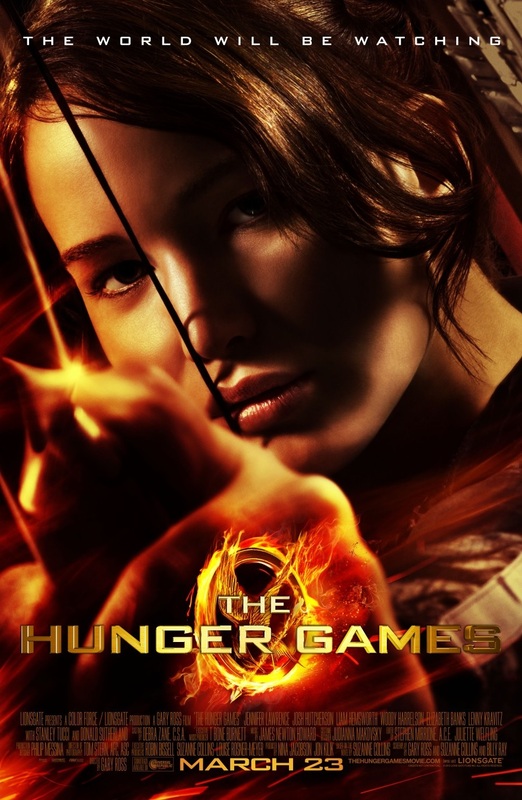 Katniss Everdeen (Jennifer Lawrence) survives week by week in District 12, the poorest area of Panem, though since volunteering in place of her younger sister to take part in the 74th annual Hunger Games, survival has become a rare commodity. Alongside fellow district resident Peeta Mellark (Josh Hutcherson), Katniss now must participate in a maniacal free-for-all where there can be only one survivor. An assured opening sets the stage for what is to come. The first act carries eerie subtlety, etching discomfort; a melancholic hum, almost vigil-esque, is interrupted by the hollow sound of a horn ushering in inevitable death. Later on, this underlying notion of distress plateaus as a 30 second countdown intermittently signals the immediacy of inhumane violence for Katniss. We see portions of District 12 that are hopefully its worst parts as anything poorer would imply extreme poverty — it is a place that could easily be mistaken for the downtrodden Ozark dwellings of Winter’s Bone, only unfrozen. Instantly an air of durability emerges, within which citizens have learned to fend for themselves. Katniss and Gale hunt in forbidden zones in order to feed their families, the former exclaiming, “Is this real? !” upon the sight of bread. Shortly thereafter, the Reaping takes place and the Hunger Games players are selected. Booming screens represent a watchdog elite, the Capitol, whose justification for staging an animalistic melee is to protect those whom they rule over: “This is how we remember our past, this is how we safeguard our future.” It’s clear who the “our” in said statement denotes (and who it does not). The film’s inaugural goings-on are excellent, presenting an ideological enemy that bares no echelon of morality. We are already desperate to see those being held down rise up and, as promise dwindles, this desire escalates. President Snow refrains from showing face until events have advanced further and, in truth, has very little impact on the film as an active villain. His affects on events are delivered far more insidiously, his sophisticated whisper carrying indulgence, and this only serves to fuel a fire of loathing against the autocratic Capitol. Having conjured up a seemingly impermeable enemy and a downbeat atmosphere bathed in truth — knowing these cruelties are very palpable factors in the real world makes them even tougher to comprehend — director Gary Ross must then offer a beacon of hope for viewers to grab hold. Occasional splashings of humour temporarily alleviate the heavy tone, but it’s Katniss who is the primary body of resistance. Jennifer Lawrence’s portrayal of Katniss, moreover. Sculpted from the get-go as necessarily protective of her loved ones, Katniss’ strength stems from a hereditary place, ultimately one that resonates with viewers. She’s unaware of but not impervious to pain when her family is at risk (an early finger-stabbing scene cements this). With those paternal foundations in the bank, Jennifer Lawrence adds rigour and ambiguity — we’re never entirely sure where her loyalties lie away from District 12 — though in distancing herself from other characters, she never distances herself from the audience. It’s a tremendous performance in a clinical role, and Lawrence deserves a lot of credit. Tom Stern’s cinematography resembles his work in Mystic River, chartering gritty immediacy which, alongside instances of on-point editing, generates a jolting disquiet in the face of in-game brutality. Bloody splurges are uncommon and therefore more impactful upon manifestation (included in the 15 certificate version, they make events in the arena seem more visceral). In contrast, Capitol life is artificial; the pre-game festivities are produced, and giant screens relay betting markets for the benefit of already wealthy residents, who wear extravagant attire and hide their faces with make-up. The filmmakers rightfully abstain from going down a commercial route though, instead engraving the tournament as an antidote of perverse enjoyment for Capitol civilians. After all, “it’s a television show” according to Haymitch, one of Katniss’ few allies, himself flawed as a result of the Games: his heart promotes authenticity, but his head is hampered by alcohol. Woody Harrelson balances Haymitch’s principle-jousting effectively and appears to be having a blast in the process. As does Elizabeth Banks, playing Effie Trinket, an eternally positive Capitol export whose drastic appearance and bubbly mindset do not connotate evilness as much as they do ignorance. Rather, malevolence froths from Donald Sutherland’s President Snow. Delivering a performance of poise, Sutherland compels the audience to detest Snow more and more with every muttering. Josh Hutcherson is solid as Peeta Mellark, though he does sporadically tow the corny line. A nod must also go to Stanley Tucci, whose Caesar Flickerman is the face of the Capitol, an ebullient television presenter. Tucci injects so much charisma that it’s difficult to dislike Caesar, though your teeth will grit upon hearing his pronunciation of the “Hungaaa Games”. The film does suffer slightly from a quite lethargic middle act, particularly as it comes on the back a swift and purposeful opening. Throughout many of the training centre scenes, there’s a less-than-sure ambience and events begin to meander. We know Peeta is in the shadow of Katniss, no need for him to explain it over the dinner table. In comparison, the outing’s conclusion feels rushed, almost as if the filmmakers can’t wait to end proceedings and move onto the second instalment. The Hunger Games is a decisive franchise opener. Shepherded by an accomplished lead performance, the film tackles issues carrying present day prominence in a manner feasible to most audiences. Like an arrow through an apple, Katniss must be emphatic when striking an enemy whose guard is down, when they’re not paying attention. They mightn’t be watching, but you should. Excellent review! I really dug this film when it came out and am actually surprised I haven’t sought it out on Netflix or DVD by now. Did you see Catching Fire? Cheers Tom! I have seen Catching Fire, and am a huge fan. For me, it takes the franchise up another notch. More expansive, yet still focused. An intelligent blockbuster! What about yourself? I’d urge you to watch The Hunger Games again if you get the chance. Definitely was a nice start to something I didn’t expect to be so awesome right away. Good review. I was completely caught by surprise back in 2012 too! Thanks Dan. I was quite impressed by this when it first came out, I also like the sequel. Great performances, esp by the supporting cast, looking fwd to the final film! Indeed, the sequel is an even better film than this one. The final offerings have quite a lot to live up to! Nice review, man! This one caught me off guard too, was expecting it to be a cheap (well, expensive) Battle Royale rip off, but actually turned out pretty damn good. Great analysis of how Ross handles the tone too – very nicely put! Me too Jim, I didn’t know much about the literary source prior to seeing the film a few years ago, and I was really taken aback by the quality on screen. Cheers mate, appreciate it! Ross does a mean job. I read the book after seeing The Hunger Games, and from what I can remember it was exactly as you say. Catching Fire is tremendous, the final films have a lot to live up to! Thanks Cara! I’m half-way through Mockingjay too! Haha, uncanny coincidence. Certainly will be interesting! Nice review! This film is highly entertaining whilst being terrifying due the idea of the plot. The film shows great character development for all characters before the real main event in the film – and what a performance by Lawrence. It does the socio-political commentary thing very well – Catching Fire is even better in this regard – and still manages to be entertaining. Jennifer Lawrence can do no wrong! Thanks for reading.